Jen Matott here to share one of my layouts using lots of fun texture and materials. I love that Helmar products hold just about ANYTHING onto any surface. 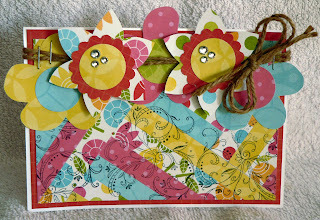 This page used lots of different adhesives from Helmar. I started with applying papers using the Quickfix Adhesive Runner. This little baby is perfect for scrapbook papers and they stay put! I added texture paste through a large dot stencil and then sprayed with Faber-Castell Design Memory Crafter Gelato mists that I made. Once it dried, I added other embellishments with more Helmar adhesives. These cute little banner pieces and vellum banner shapes were added with Helmar Quickdry 450 adhesive. This is my absolute FAVORITE glue! I can use it on anything and it holds ... but the best is that it is clear so I could use it on the vellum. I also used it on the resin angel and wooden door embellishment. It is so versatile with so many materials. I used twine for the banner string and applied a thin line of Acid Free Glue and then put the twine on the line. It sets clear but goes on white so that I can see where to put the twine without worrying that it will show after it dries. I also used the Acid Free to adhere the cardboard letters to the paper. Here is a close up of the twine and texture paste. I love that there is a perfect adhesive for any material or any technique that you need for your pages! Thanks for visiting the Helmar blog! I'll be on our UStream channel on February 19th showing you a class using Helmar Adhesive and Faber- Castell DMC products! I will be making an altered canvas along with wax monoprinting! Join me at 7pm EST on Tuesday, Feb. 19th on Helmar LIVE. Hello all, Michelle here from Adelaide, South Australia. While I was busily cleaning up my scrap booking supplies I had found some of this digital paper left over from a layout class I taught a while ago. Now I loved this paper and still do. It has such a bright and bubbly feel to it. So with that in mind and a cute photo I found of my daughter, Kiah, at the beach from Easter I hadn't played with yet and I got creative. With little help from some punches, wooden flower templates, mixed stamps and some of my favourite Helmar products my job was made super easy. Now because I really didn't have a huge amount of the paper left after I had created the layout I decided to stock up my card stash with a few cards that could be used for any occasion. 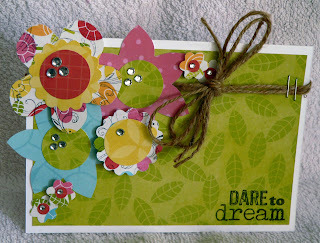 So with a few wooden flowers used as templates I created these bright and summery feeling cards. By using a bit of Helmar Liquid Scrap Dots it was easy to create a bit of dimension to the cluster of flowers. This one I used up left over bits to make strips that I adhered to a scrap of white card stock using some Helmar Acid Free Glue before stamping on it randomly to create the base. 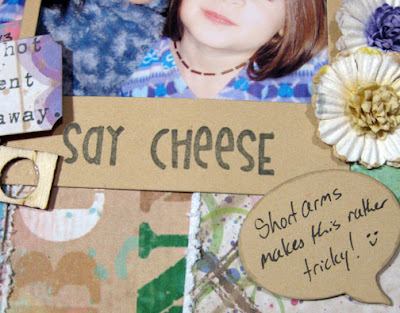 Super easy way to use up all your scraps. Have you cleaned out your stash lately ? Amazing all the bits and pieces you find when you do. Today I want to share with you a book study we are working through with home schooling and how Helmar played a very big role in how it all came together. First I want to share with you a photo of my Unit Study. Most activities are shown in this picture. I am going to go over a few things here on this blog post today, but for full lesson plans, more video, photos and step by steps, please visit my personal blog. I plan on showcasing one to three books per month, so please join my children and I on our adventures as we read and explore. I started with creating a felt board for this book study. I have been wanting to do this for a long time and realized with Helmar Spray Adhesive, some inexpensive white felt and a piece of plywood, which I sanded down before hand, it was quite simple. The adhesive made the board nice and smooth and did not show through the felt. The best part is I only sprayed the felt and not teh plywood, so when I am done, I can remove the felt or change the colors since that makes it repositional. If I sprayed both sides I could make it permenant, as well. Now my girls finally have a felt board we can use with each of our book studies! You can see it as the base for my photo above. Next I started on the lapbooks. They are very simple to create and I shared how with a little 450 Quick Dry and three manilla folders you can create a simple base lapbook with a sturdy pocket in the back for holding your print outs and assignments in this video. I also have a second video sharing the details of the mitten lapbook on my blog, if you would like to see that, as well. One other item I wanted to share today were some winter counting sticks. We use counting sticks for all sorts of activities, such as counting, basic addition and subtraction and patterning and with the little mittens they make it more festive and fun to play (I mean, learn) and fit my theme perfectly. I started with some white felt, some craft sticks, and Helmar 450 Quick Dry. I simply free hand cut the little mittens (it was just fine with me if they were all different and unique) and then using a dab of 450 Quick Dry adheared them to the sticks. I created two sets of one through four to go with this week's lesson. SO easy and so fun! I love how fast the glue dried so I could make them fast while bouncing a baby on my lap. I was also loving the fact that the glue did not show through the felt mitten at all. You would never know I used a liquid glue. I love using this glue with all my quick home school projects now! Lastly, I wanted to share with you an easy recipe for puffy "snow" paint. We are creating paintings using an old white mitten who has been without it's mate and did not know it was still useful... do you have any sad mittens like that? Well, ours will be creating puffy mitten paintings this week!! We are so excited! It is a very simple recipe. You simply mix together 1 part Helmar Craft and Hobby PVA Glue with 1 part shaving cream. It dries so puffy and pretty! Hello Helmar fans! 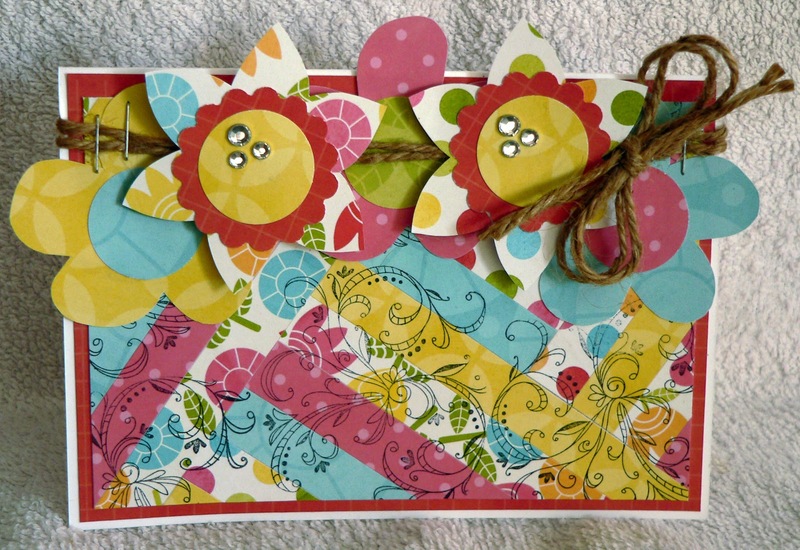 I'm here to share two cards that I created with Susan K. Weckesser Inc. papers. Susan very generously supplied our entire team with her lovely products (Thank you Susan!). Here is a close up showing the three dimensional detail. I used Helmar Zap Dots to pop up the purple flower and the bird to give the card more depth. 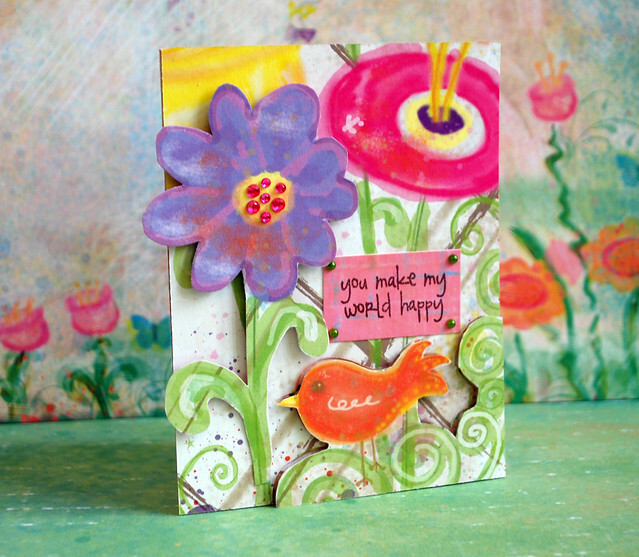 I really like how the bright and cheery flowers and bird coordinate with the sentiment that I chose. This is a 'feel good' card. Patterned papers from Susan K. Weckesser Inc. This next card is fun, funky and playful. It's simple, but still has a lot of interest with a mix of textures from the punchinella sequin waste, the burlap and the patterns in the papers. Here's a close up of the sentiment. I cut the letters out of one of the patterned papers and then adhered them to the circles, also cut out of one of the patterned papers, with Helmar Zap Dots. I love the 3D effect. Thanks for letting me share my cards with you! Helmar and Susan K Weckesser Team Up to Get Our Glue On! This week the HELMAR DT has teamed up with Susan K. Weckesser Inc. to #getyourglueon with her original designs in stamps and paper. I love working with the ever so sweet Susan and when her designs were created into stamps with Unity Stamps I was over the moon with excitement. The project I completed came to together by mistake. As I pulled out Susan's stamps to figure out which I wanted to use they landed on what I call my journal MOP PAGE. I hate to waste any type of paint or mist or glimmer so as I'm creating backgrounds for my Art Journals I mop up the excess with various papers and tags. This wasn't my intent to use but then the light bulb went on and I created this page from various scraps, papers and leftovers. I can't even tell you what products I used because the items on this page were leftover scraps, leftovers, mistakes but when stamped and cut apart they worked together. Of course having my favorite glues on hand also helped for applying the banner to the ribbon with HELMAR Fabric Glue and HELMAR Professional Acid Free Glue for paper to paper. Thanks for stopping by. 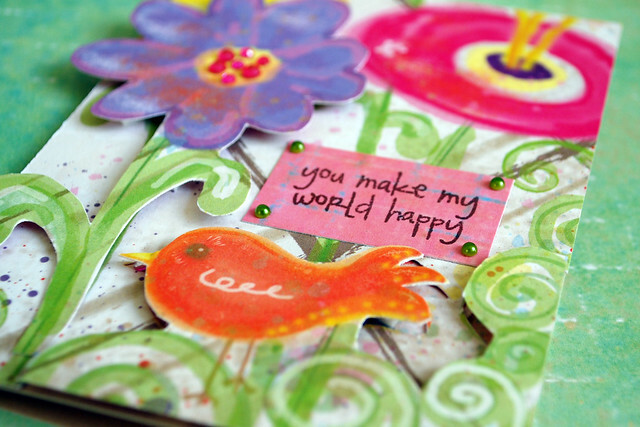 I hope this post gives some ideas for your next time you create with these gogeous Susan K. Weckesser stamps! Hi! Katie here! I am so excited to be sharing with you two, fun artsy cards I created using Helmar glues and Susan K. Weckesser papers and some paint. For my first card I started by painting a sky and grazz with watered down acrylic paints. I fussy cut the house out of Susan's "Live, Love, Create" paper. I scored along the door so it looked hinged and open, then glued it down the house with Helmar Craft Glue. To give the roof, chimney, and sun some height, I used Helmar Zapdots. Because I was running extremely low (3 to be exact) of my favorite white, 1/2 inch rounch Zapdots, I chose to use the remenants. Don't foget that those are useful, too! The second card I am sharing is a bit different for me. I wanted to play on the the statement "Paint The Town Red" from Susan's "Live In Color Tags." I cut the tag out, glued it down with Helmar Craft Glue, and then built my scene around it. I stamped the houses in brown Archival Ink and then painted the town (houses) red! Three of the houses are popped up with more of my Helmar Zapdot remenants. I had so much fun creating these cards and hope you are inspired to pull out some of your Helmar glues and whip up some of your own fun, artsy cards. Hello everyone! I hope that you are having an AWESOME day so far!!! I am so excited for this week because I LOVE using Helmar prducts, I LOVE the Helmar DT, and I LOVE using Susan K. Weckesser Inc. products too! *grin* All so AWESOME!!! Seriously....they all go together so wonderfully, so you are going to love this week!!!! And, if you haven't tried Helmar products...you really should. I really wasn't a 'wet' kinda glue gal until I tried Helmar 450 Quick Adhesive and now that is all I use with my projects! I am always glueing everything together! So, for my project above..... 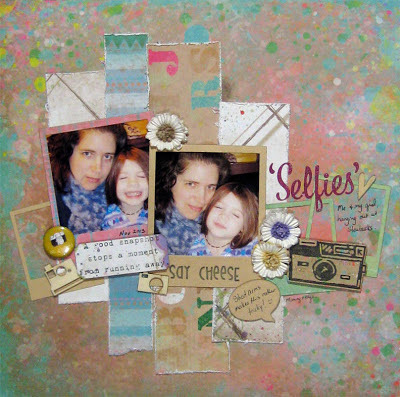 I had fun combining one of Heidi Swapp's Memory folders with some of my Susan K. Weckesser Inc. products and Helmar adhesives. I had a blast stamping my washi stamp with ink from Clearsnap,onto wonderful tissue paper from Canvas Corp. By using Helmar's Decoupage and Craft Paste to stick it to your project you can simulate real washi tape. It creates a wonderful washi tape effect! 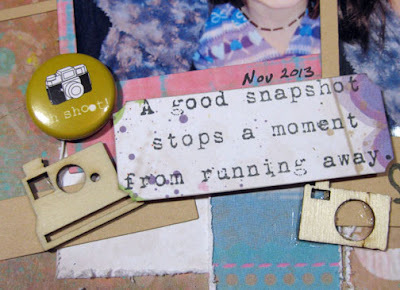 I continued by binding some of my Susan K. Weckesser Inc. paper into a Heidi Swapp memory file and turned it into a Art Journal for myself by glueing all kinds of my washi tape stamps and my Live in color tags. I used my Susan K. Weckesser Inc./The Crafter's Workshop stencil & Heidi Swapp Color shine to add even more colorful whimsy to the edges. I will have fun drawing and doodling in this for sure. This was actually a class that I taught this past fall, and it was so fun seeing everyone discover color and the great joys when you #getyourglueon !!! Have a wonderful day and I hope you enjoy seeing everyones wonderful artwork using Helmar & Susan K. Weckesser Inc. products this week! I popped up this sentiment stamp using Helmar Zap Dots. All the embellishments were glued down with Helmar 450 Quick Dry - which is especially good for tricky things like 'flair'. (I used Helmar Acid Free for all the photos and papers). Want a perfectly matched embellishment for your page? 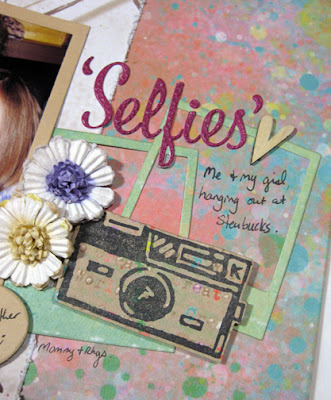 Try stamping on the patterned paper! Cut it out and pop it up with a Zap Dot, and you're all set. (And how cute is that camera stamp?!) 450 Quick Dry got the job done with these highly-textured flowers. Today I'm sharing two layouts with you that look beyond the ordinary page embellishments and matching collection pieces. When you're armed with the right adhesives, you can get brave and creative about what lands on your page. Both of my pages were created at a crop, using papers and recycled materials I was given. Imagine a big bag filled with coated comic book pages, pop can tabs, bits of cork, paperclips, cupcake wrappers, wire etc. and a big list of challenges to go with it. If you want to use papers like comic pages, bingo cards and newspaper, just give each side a coat with Acid Free Decoupage and Craft Paste and let dry before adding to your page. If you are still worried about acid content, just be sure the photos aren't in direct contact with the papers. I used Helmar Acid Free Glue to hold all my papers together, and the miracle 450 Quick Dry to be sure the Dymo tapes , film negative and letters weren't going anywhere. How about a paper doily and some cupcake wrapper flowers on an apple picking page? Acid Free is perfect for tacking the doily on in a few places. Easy texture and dimension can be achieved using trimmed cupcake liners and a bit of 450 Quick Dry. I wouldn't use anything else for keeping my buttons on either. Adding a loop or two of twine is easy too, with a thin bead of Helmar Acid Free Glue. Just lay the bead where you want it, and then lay the twine along it. The glue dries clear, so you won't see it if you're slightly off. 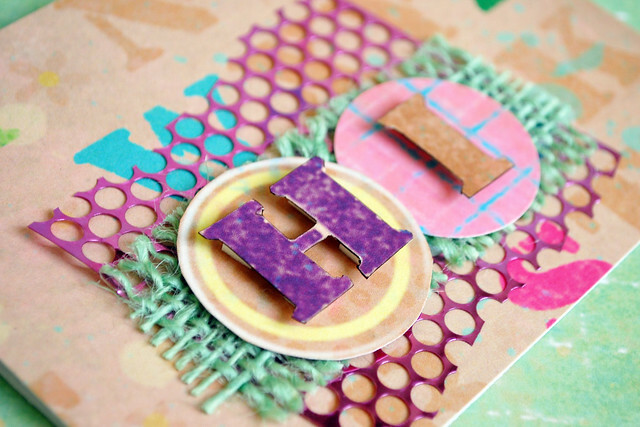 So if you're tempted to do a bit of upcycling on your projects, and get creative with your embellishments, Helmar can definitely help make things stick as if they were always meant to be used on a scrapbook page. Cindy here today sharing a couple of cards securely constructed using Helmar products . 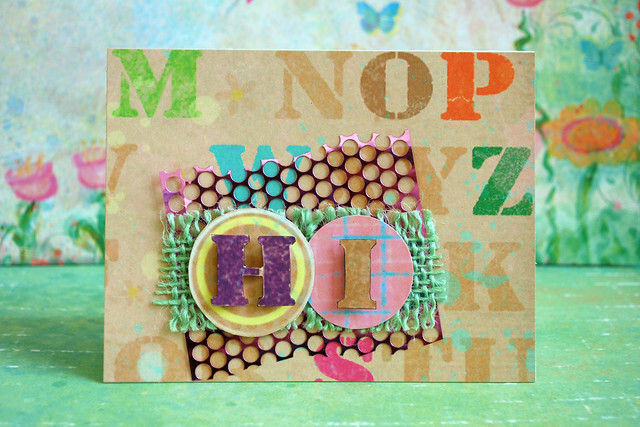 This first card with a simple Hello is made more textural with not only dry embossing, but a little heat embossing as well. I used dies to cut the sea shells and heat embossed them with a sparkly white embossing powder. I then gently shaped them and adhered them with Helmar Liquid Scrap Dots. Paper layers are adhered using Helmar Premium Craft Glue. Helmar Gemstone Adhesive hold the half pearls securely to the card. MATERIALS: Digital Image by Make It Crafty, Cardstock by Bazzill and Core’dinations , half pearls by Robin’s Nest , Embossing Powder, Copics Markers for coloring image, Baker’s Twine, Helmar Products , Hello sticker by SRM Press . 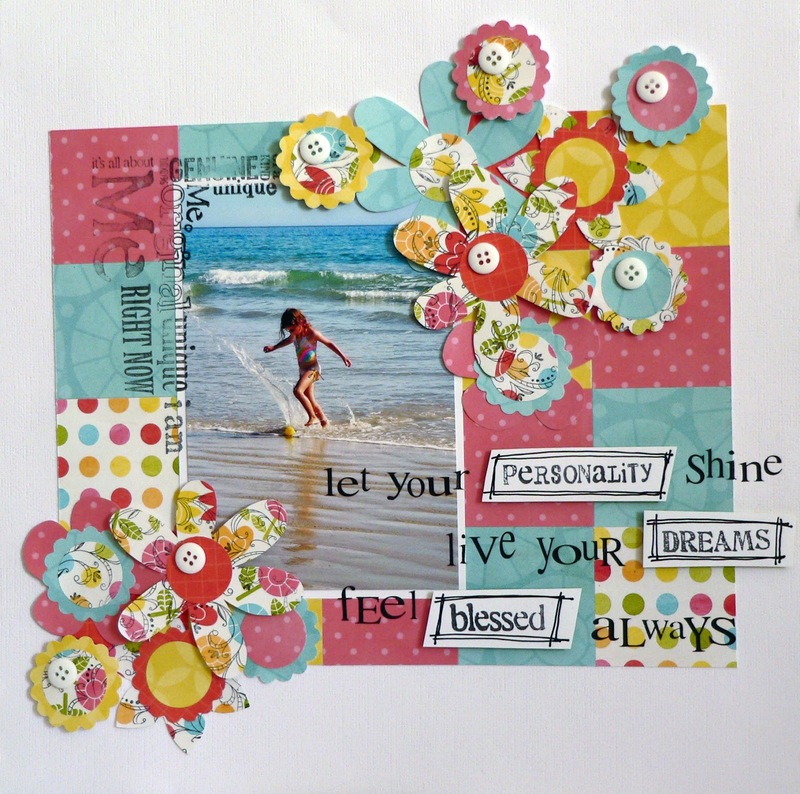 Cuttlebug Sea Shell die cuts, Spellbinder Circle die cuts, Cuttlebug Embossing folder. This next card is a birthday card I will send to my father. I thinks it’s masculine, yet mature, even with a flower and butterfly. The paper layers, again, are adhered with Helmar Premium Craft Glue and the gold paper dots are adhered filling the void on back with Helmar Liquid Scrap Dots. I very lightly dusted the back of the scrolls with Helmar Acid Free Glue and the rolled flower is held in place with Helmar 450 Quick Dry. MATERIALS: Butterfly Stamp by Hampton Art, Sentiment Stamp by Clear Dollar Stamps, Patterned paper: Teresa Collins World Traveler, Cardstock - American Crafts, The Paper Company, Colorbox Gold Ink and Staz On, Clear detail embossing powder, Quilled flower - Cuttlebug Chrysanthemum quilling kit , Candi paper dots, Spellbinders Nestibilities - Ovals and Circles, Helmar products adhesives. Hope these two cards inspire you to get your Helmar Products out and get creative.